The former chief of a major Chinese financial firm that owns businesses around the world has been jailed for 18 years, according to state media. A court in Shanghai on Thursday handed down the sentence to Wu Xiaohui, the former chairman of insurance company Anbang, after he was convicted of fraud and embezzlement, China's official news agency, Xinhua, reported. Wu will also have 10.5 billion yuan ($1.7 billion) of his property confiscated, according to the report. Anbang drew global attention in recent years for its aggressive pursuit of assets around the world under Wu's leadership. He built the firm up from a provincial car insurance business into a global financial conglomerate, making him a billionaire in the process by some estimates. The company's international deal-making efforts included the $1.95 billion purchase of the Waldorf Astoria in 2014, a failed $14 billion bid for the Starwood hotel chain, and unsuccessful talks with the Kushner family business over a Manhattan office tower. In February, China's insurance regulator announced it was seizing control of Anbang's operations for one year. At the same time, authorities said Wu would face prosecution. The court found that Wu had defrauded Anbang of more than 75 billion yuan ($12 billion) by transferring cash to companies he personally controlled between 2011 and 2017, according to Xinhua. Anbang has splashed out about $20 billion on deals since 2014, according to research firm Dealogic. The moves attracted increasing scrutiny from Chinese authorities as they sought to clamp down on what they viewed as excessive risk-taking in the finance industry. Anbang announced last summer that Wu was unable to carry out his duties for "personal reasons" following reports he had been detained. Other major Chinese deal-makers also started to come under increased pressure from authorities. Much of Anbang's deal-making was funded by selling investment products that promised high returns to customers, rather than borrowing the cash from banks or the bond markets, according to analysts. 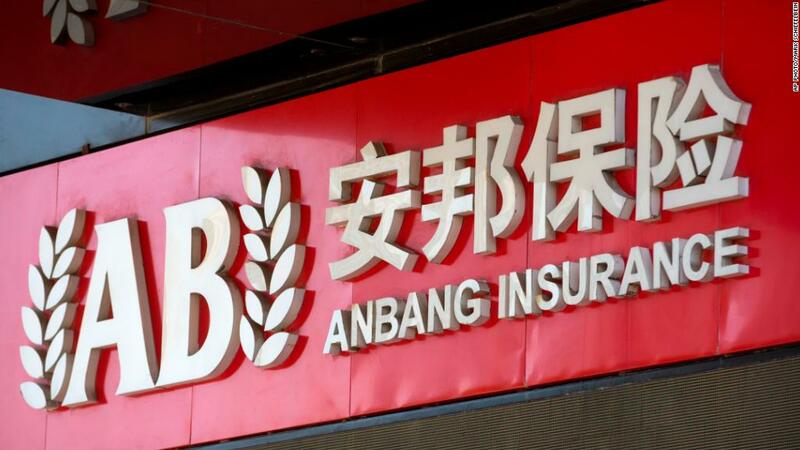 If Anbang went under, that would leave Chinese consumers who bought insurance policies with the firm exposed. The Chinese government last month pumped nearly 61 billion yuan ($9.6 billion) of fresh funds into Anbang. That money was intended to shore up Anbang's business and protect its customers from losses. The company said in a statement Thursday that it was not impacted by Wu's conviction and that its operations were stable.